Ranelagh Zen Group Meditation Sun 7 Feb 9am to 1pm. Appletree Health and Wellness Stress Survival Guide Written by our experienced practitioners, giving tips and advice on things that you can do to make life that little bit easier for yourself today. Click here to download it now!! 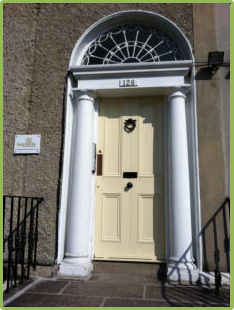 Beautiful Therapy/Treatment rooms to rent in Appletree Health and Wellness, Ranelagh, Dublin 6. Please contact Maeve at 087-2877837. 15 Euro per hour. Quiet, comfortable rooms to rent in professional surroundings, includes free Facebook page advertising. Suitable for individual consultations, e.g. counselling, psychotherapy, nutritional consultations, hypnotherapy etc, or bodywork e.g. massage, acupuncture, reflexology etc. Group work space also available. Optional website listing on Appletree Health and Wellness. Part-time or sessional basis, kitchen facilities, excellent location, convenient to LUAS and buses.